I work with clients and their families, helping them through difficult periods in their personal lives; this may be in relation to their Wills, dealing with a death in the family or helping with elderly relatives. I also like to think of imaginative solutions to various problems they may face in terms of their family and financial issues, particularly in relation to Inheritance tax and estate planning. I am recognised by Chambers Legal directory as a leading individual for private client work. I am a Member of the Society of Estate and Trust Practitioners. I went to the The Royal Grammar School, Guildford, and then to Selwyn College, Cambridge. I was admitted as a solicitor in 1985. Outside of work I play the guitar in my band, Sultana. I also enjoy doing a bit of cycling. Tim Adams heads up the firm's private wealth and tax department. His practice sees him handling trusts, tax, will writing and wealth management work. Recently he has advised high net worth individuals and their families on estate planning and probate." 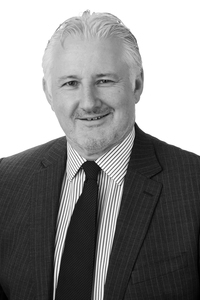 Tim Adams specialises in helping clients with complex inheritance tax and estate planning matters. "He is a very good estate planner and very good at looking after clients", observes a peer, while another interviewee remarks: "He is very personable and avuncular. You can see why clients want to go to him. He is somebody I would recommend without hesitation."